Passion is not hard to spot. Everyone is passionate about something. 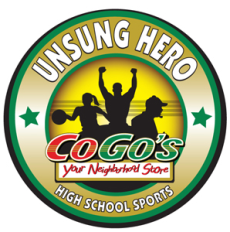 In sports, passion can be found in an athlete’s eyes, words, actions, and eventually, their greatest accomplishments. Sometimes passion takes a while to find and develop, but once it is there, it is there for good. 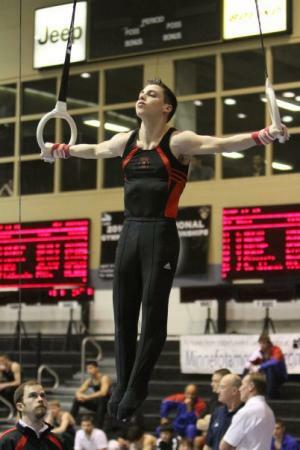 Evan Eigner, a 2012 graduate of PA Cyber School from Philadelphia, PA found his passion in gymnastics at an early age. 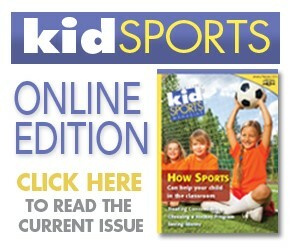 “I realized it almost immediately,” Evan said about his start in the sport. “I tried other sports like baseball and soccer, but they didn’t really click,” he said. Although he started out at a young age, he said he didn’t get involved in competitive gymnastics until he was around 12 or 13 years old. While attending prep school in nearby Cherry Hill, New Jersey, the boys’ gymnastics program was cut, forcing Evan to look elsewhere for a team to compete with. That’s when he found the Temple University Boys’ Gymnastics team, now known as Philadelphia Boys Gymnastics, a youth program that follows the same structure as the USA Gymnastics Boys’ Junior Olympic Structure. This fall, Evan will not only join the Temple University gymnastics team as a college freshman, he will be continuing the Owls family legacy. “My dad is the head coach at Temple University,” Evan said about his father, Fred Turnoff, who competed for the Owls from 1966-69 and will enter his 37th year as the team’s head coach.. Gymnastics is a unique sport in that its athletes have the ability to specialize in specific events in which they compete. While some prefer the beam and others enjoy the bars, Evan zoned in on rings. Evan has spent countless hours working hard on toning and perfecting his upper body strength, a key aspect to this specific event. Traditionally, rings performed only by males in competition. As for the future, those personal goals will grow to goals for his new team and the next chapter of his life and career. With fall upon us, Evan is that much closer to those goals. Led by a historic ground campaign, the Panthers humiliated Virginia Tech, running their way to a 52-22 demolition of the Hokies Saturday afternoon at Heinz Field, maintaining first place in the Coastal division. CHARLOTTESVILLE — With an opportunity to separate itself in the race for the ACC Coastal title, the Virginia football team failed to overcome myriad mental and physical errors and its depleted defense was unable to hold up in the second half of a 23-13 loss to Pittsburgh on a soggy Friday night. Casey DeSmith stopped all 39 shots he faced, while Sidney Crosby racked up a goal and an assist as the Penguins dominated Arizona in a 4-0 shutout win at PPG Paints Arena Saturday night. NEW YORK (AP) — After setting a career high for points last season, Josh Bailey has picked up right where he left off. Bailey scored a short-handed goal in the second period and then the only goal in a shootout to lift the New York Islanders over the Pittsburgh Penguins 3-2 on Thursday night.